This week we get a mix of indie movies and mainstream movies, movies in English and movies in foreign languages, movies about heroes and movies about ordinary people. Quite often, all of these people are misfits or outcasts of some kind, never quite sure of how they fit in. Or, in the case of one creepy chiller, the characters rudely discover that they don’t fit in quite as well as they thought they did. In any case, there’s something here for every outcast and/or misfit to enjoy. Indie filmmaker Gregg Araki seems to be drawn to stories about savvy, but damaged teens. In White Bird in a Blizzard (2014), Kat Connor (Shailene Woodley) returns to her hometown after her first year of college. The earlier disappearance of her mother (Eva Green) is still a mystery, and her father (Christopher Meloni) doesn’t seem able to function on his own. Her boyfriend (Shiloh Fernandez) has stopped sleeping with her, and she has begun sleeping with the detective (Thomas Jane) in charge of finding her mother. When not involved in any of this drama, she spends time with friends (Mark Indelicato and Gabourey Sidibe) and they talk about how boring everything is. Araki is good at capturing this sense of suburban ennui and the way it creeps around the edges of life. The soundtrack is filled with dreamy, misty 1980s pop tunes, and flashbacks and dream sequences wind their way around the narrative. The movie falters only when it focuses on plot, and the solution to the disappearance, rather than the moody explorations of characters and their urges. Remakes, by their very nature, are always compared to the original films and almost always found inferior. But that doesn’t mean that some remakes aren’t worth seeing. A remake of Paul Verhoeven’s 1987 movie, Robocop (2014) is not without its own minor merits. 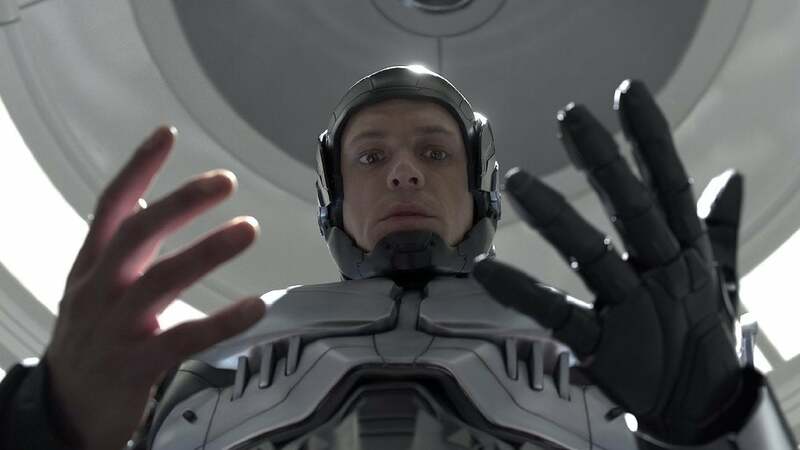 Like the original, it’s set in the future, and tells the story of a good cop (Joel Kinnaman) who, after a near-fatal accident, is turned into a powerful cyborg. Brazilian documentary filmmaker José Padilha (Bus 174) moves away from the original film’s satirical tone and takes on a more political one, pointing fingers at evil corporations and concepts of privacy and security. 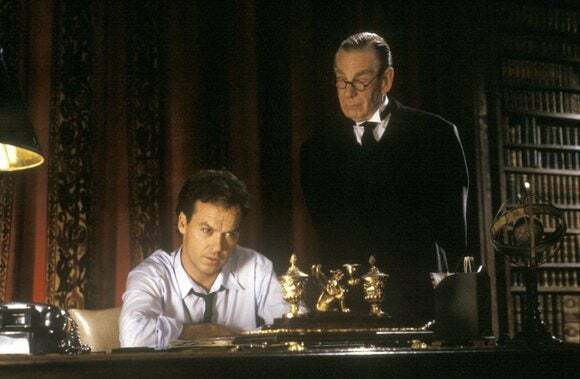 Perhaps best of all is the amazing supporting cast, Gary Oldman as the doctor in charge of Robocop’s maintenance, recent Oscar nominee Michael Keaton as an evil CEO, and Samuel L. Jackson as a persuasive TV commentator. The movie has a slick, solid visual and sound design, and it’s quick and intense, not to mention that it’s arguably slightly better than the two official Robocop sequels. This horror-chiller begins with some testimonials filmed at a wedding, and an annoyingly happy couple subjects their friends and family to a ceremony built around their history of dating and courtship. It’s all very familiar and you might have a guess as to where it’s all going; but with Honeymoon (2014), director Leigh Janiak has something else in mind. The newlyweds Bea (Rose Leslie) and Paul (Harry Treadaway) head to a cabin in the woods for their honeymoon. They immediately have a communication breakdown, and then things get worse when Paul awakens to find Bea standing in the woods at night. After that, she doesn’t quite seem the same. Janiak seems to be using her movie to ask basic questions about the nature of male-female relationships. (If the couple is cute enough, can they weather all storms?) Additionally, she does a fine job of crossing the mysterious with the mundane, to the point that burnt toast in the morning can send a chill up your spine. Gloria (2013) was the official Oscar submission from Chile, but even though it was ultimately denied a nomination, it was certainly one of the most interesting and moving of the foreign language films of the year. Primarily known in her home country for her stage and television work, actress Paulina García gets the part of a lifetime in the title role, a divorced woman slightly past middle age, and slightly off-kilter with her ill-fitting glasses, who still gets out there and tries. She goes to classes and nightclubs, and begins a sexual relationship with a silver-haired gentleman, which brings its own troubles. Director Sebastián Lelio focuses on details of everyday life, Gloria at her job, trying to contact her grown children, dealing with a weird, hairless cat that invades her apartment, etc., and he finds a kind of profound beauty in the ordinary. It culminates in an exuberant moment, with Gloria dancing wildly to the 1980s pop tune bearing her name. It was awfully hard to watch the recent Oscar-winner Birdman without thinking of Michael Keaton’s turns in Tim Burton’s groundbreaking films Batman (1989) and Batman Returns (1992). Rather than going with a traditional, handsome bodybuilder, Burton cast Keaton for his ability to convey the inner darkness and turmoil that might cause a man to put on a bat suit, go out into the night, and fight criminals. Even with the cowl on, Keaton’s eyes are immensely powerful. The first movie is a bit buggy with the obviously stiff batsuit, and with Jack Nicholson rather taking over the movie as the Joker. The second movie is more streamlined, with the added surprise of Christmas in Gotham City, although it, too, is a little top-heavy on villains (Michelle Pfeiffer as the Catwoman, Danny DeVito as the Penguin, and Christopher Walken as evil businessman Max Shreck). Both movies feature an impeccable, breathtaking design that still feels nightmarishly powerful. The first film won an Oscar for its art direction. Despite the problematic rules behind the Best Foreign Language Film Oscars, sometimes something really good wins, like Pedro Almodovar’s All About My Mother (1999). Inspired by Hollywood melodramas of the 1950s, Almodovar is known for creating great parts for women, for using bold colors, and for a wicked sense of humor, even as the material follows the path of an old-fashioned weepie. In this film, Manuela (Cecilia Roth) loses her teen son in a traffic accident, and subsequently journeys to Barcelona to find her son’s transvestite father. 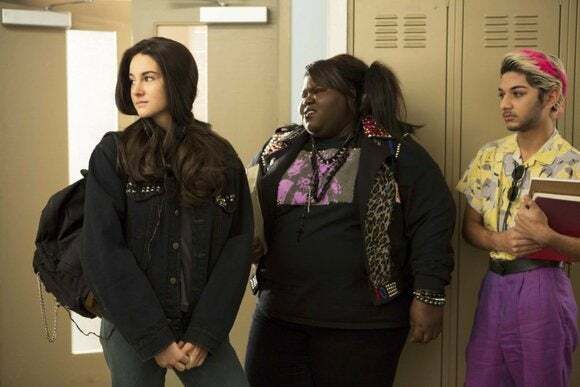 While there, she becomes involved in a group of misfits, including a pregnant nun (Penelope Cruz) and an actress who was indirectly involved in the accident. The movie is constantly alive, zigzagging in unexpected directions and always dodging anything dull or ordinary. You’ll laugh, you’ll cry, but you won’t regret spending your time with these lovely, delightful outcasts. 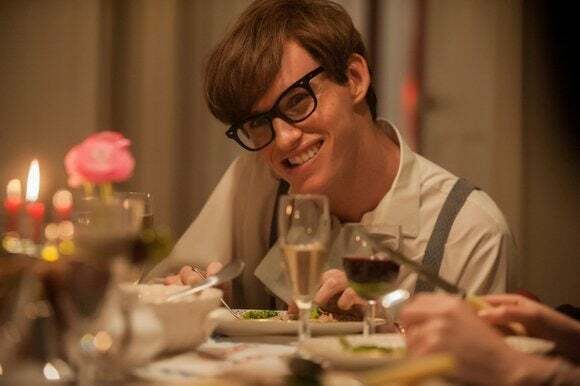 Under the direction of James Marsh, it suffers from all the usual chestnuts that plague many biopics; it rushes through too many years and important events without ever finding the time for quiet moments of character development. We know what these characters did, but we rarely know who they are. On the plus side, it does find ways to simply and effectively explain some of Hawking’s theories, and those performances are good enough to win the day. Jim Carrey went to extraordinary lengths to give his astounding portrayal as the controversial prankster and comedian Andy Kaufman in Man on the Moon (1999), and yet he was denied a much-deserved Oscar nomination for his work. 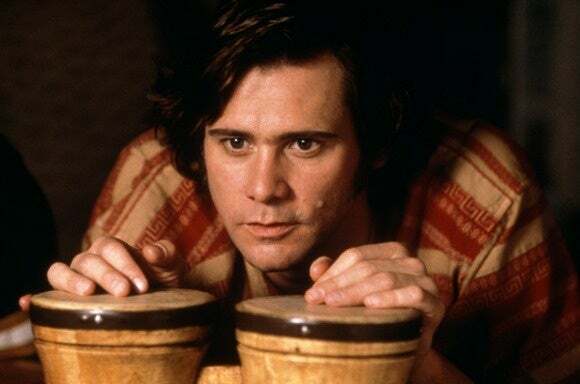 He had everything going for him, including direction from two-time Best Director winner Milos Forman, but the Academy regularly resists rewarding soul-searching work from comedians and comic actors (see Michael Keaton in Birdman). The movie traces Kaufman’s career, his weird stand-up comedy, his casting on the hit TV show Taxi, his alter-ego Tony Clifton, his “wrestling” career, and more, winding up with his diagnosis with lung cancer. (Given his penchant for practical jokes, many did not believe him.) Danny DeVito, who worked with the real Kaufman on TV, co-stars as Kaufman’s agent. Paul Giamatti plays Kaufman’s partner in crime, and Courtney Love plays his soulmate.